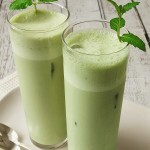 Almond milk is a versatile alternative to dairy milk. I say “alternative” but it’s really not. It’s just beautiful milk. 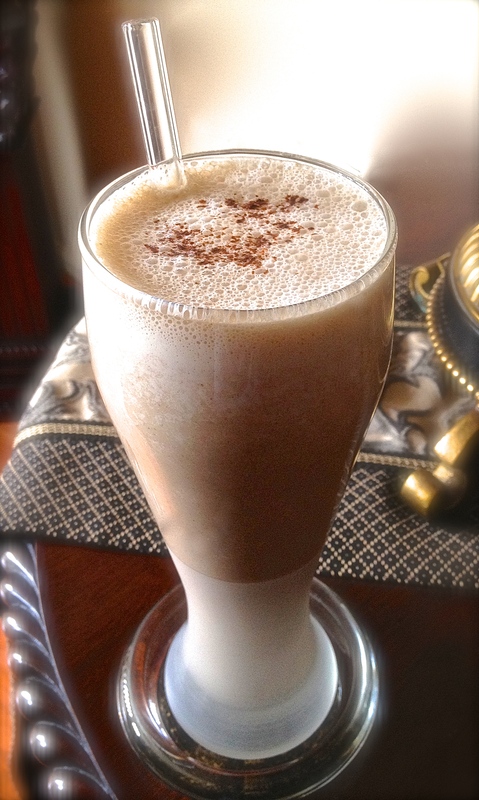 It tastes great, is easy to make, and one of the healthiest milks you can drink. 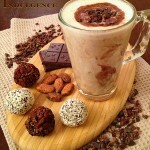 Almond milk dates back to the Middle Ages when is it was first used as a safer and more convenient source of milk. 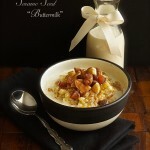 I’m always referencing culinary treasures from the past and almond milk is definitely one of them. 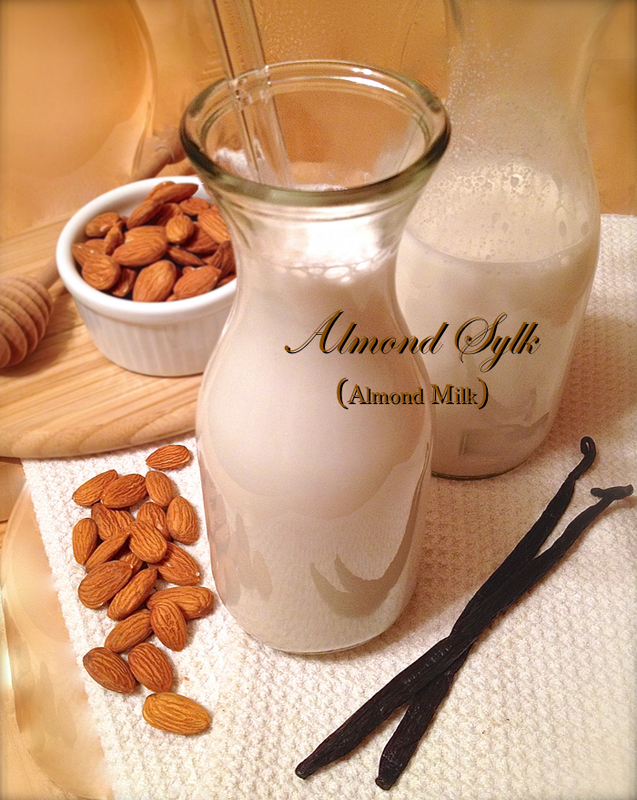 Today almond milk is lauded more for it’s flavor and nutritional characteristics than its practicality. Almond milk also happens to be low-carb, low-glycemic, and low-calorie which makes it a welcome addition to most any diet. The first time I tried almond milk, I was hooked. I knew it would be a busy ingredient in my kitchen. Making my own from scratch would be even better. 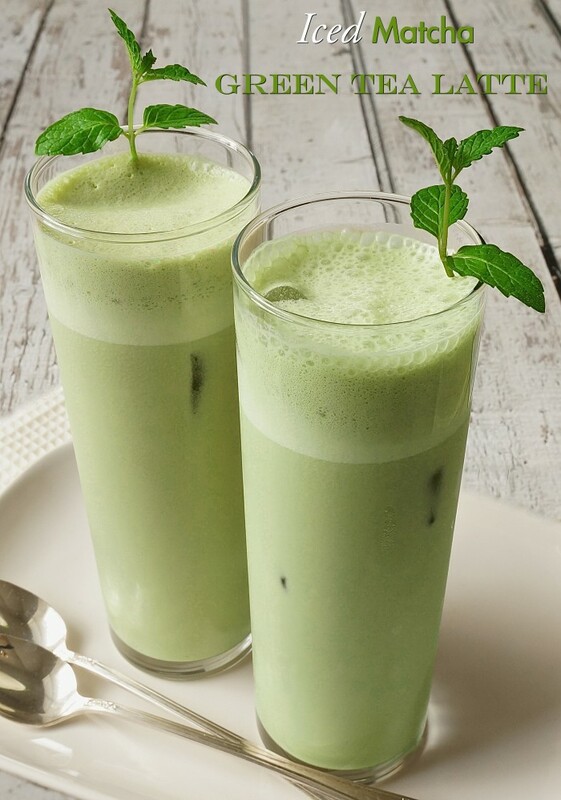 No cartons, no processing, no stabilizers, no fillers, just plain silky smooth nutrient-dense milk using just two ingredients: almonds and water. 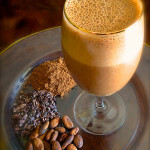 Simply soak, blend, and strain, and you have an authentic milk beverage within hours that you can serve over cereal, use in desserts, cooked cereal, soups, beverages; wherever your creative urges take you Almond Mocha. The possibilities are endless. Literally. Can you tell I love my Almond Sylk? 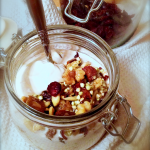 Soaking the almonds is essential for making this milk. Soaking and rinsing removes dirt and phytic acid, and makes the nutrients more digestible. This is especially important if you plan on using it a lot which I do. Soaking also softens the nuts for smoother blending. The soaking time can vary anywhere from 2 to 24 hours. As long as give it at least 2 hours, you’re good to go. Sometimes those who can’t tolerate nuts have no issues with this milk because of the soaking process. Once your almonds have been soaked and rinsed you can go a step farther by sprouting them for an additional 12-24 hours. Sprouting provides the highest nutrient release and digestibility. Whether you sprout or not, you’re in for a body and taste treat. One of the many things I love about making my own almond milk is that I can customize it. For richer milk, I reduce the amount of water. You can even make cream just by halving the amount of added water. 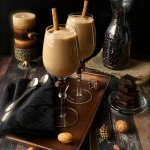 The cream can be used in place of dairy cream for coffee, ice cream, or in any recipe where cream is called for. You can also flavor up the milk any way you want. 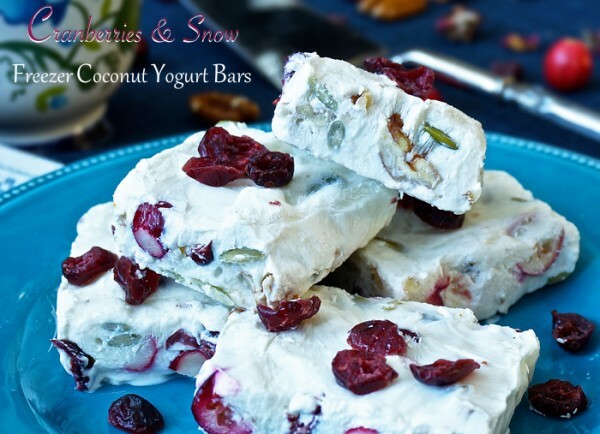 Try making it in larger batches and freezing it. I often keep an ice cube tray full of Almond Sylk in the freezer for last minute smoothies and for adding a special twist to chilled drinks. And if you’re worried about what to do with the pulp, don’t be. There are countless ways you can use it. 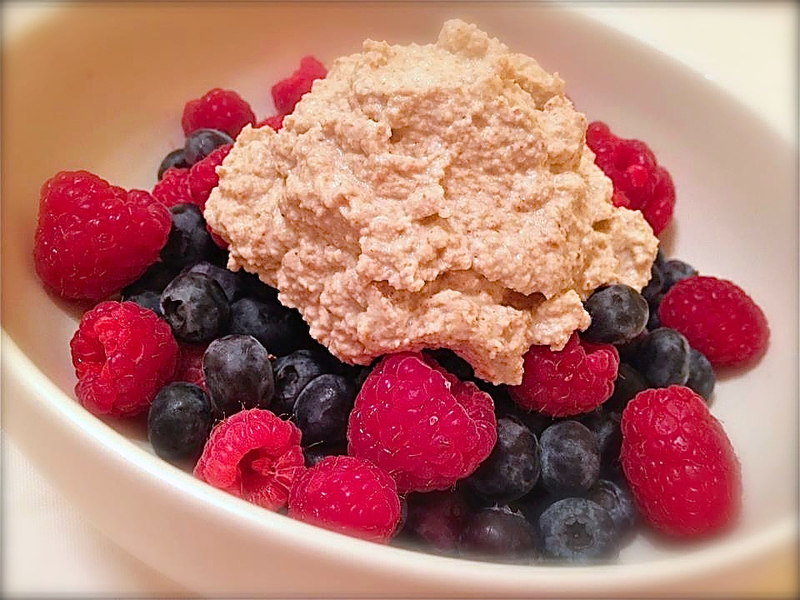 Dip your tablespoon into the wetter almond pulp (just before it’s completely strained) and you have an instant topping that can be used instead of whipped cream. The dry strained pulp can be used as a body scrub, in pie crusts, cakes batters, etc. Your pulp can be dried in the oven or dehydrator until all the moisture is removed and used just like flour. A truly versatile milk that keeps on giving, and certainly deserves all the accolades it gets. I get excited just thinking about all the dishes I can create with this incredible milk and pulp. 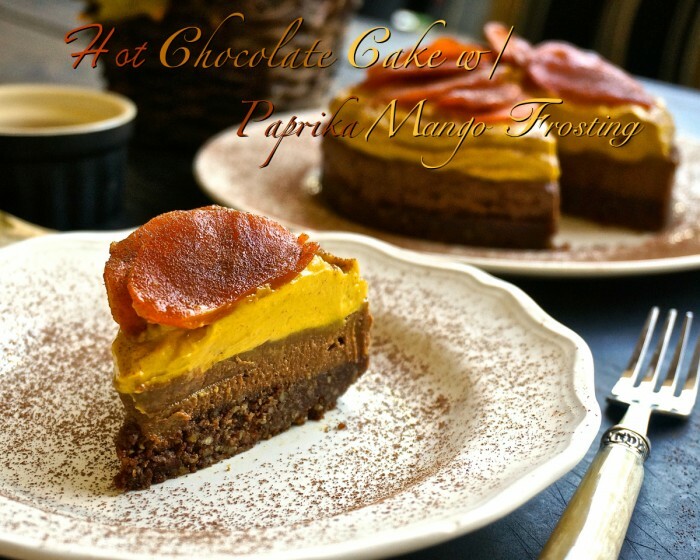 I hope you’re getting a little excited too and give this recipe a try. 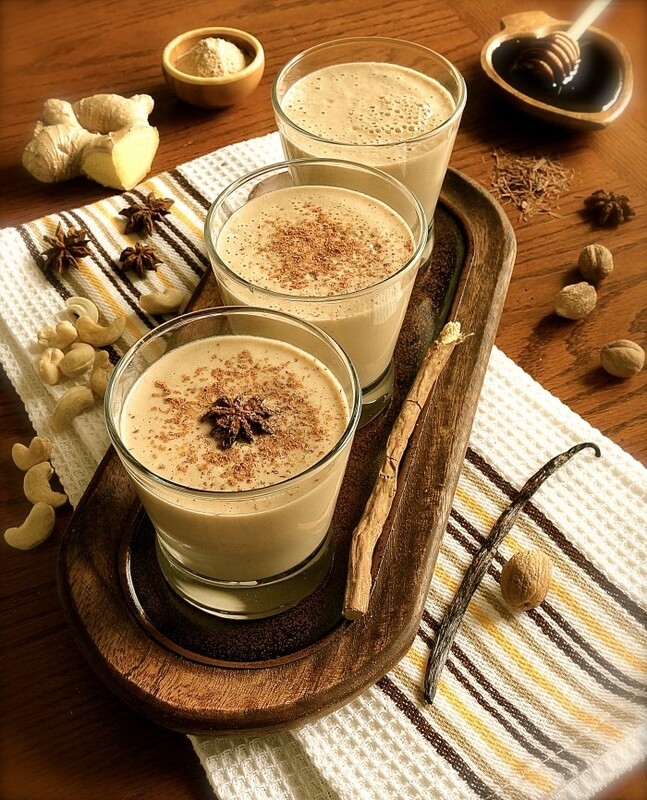 Delicious, clean, nutrient-full, you’ll be wanting more almond milk in your life. I promise. 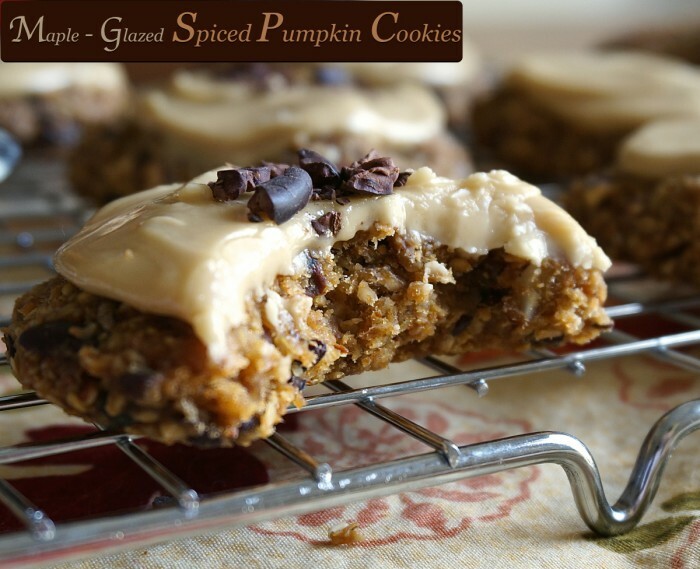 This recipe is dairy and gluten-free and serves 2 – 4 persons. For almond pulp topping, I simply scoop out a tablespoon or two of pulp during straining (before all the moisture is removed) and use or refrigerate in a separate container. 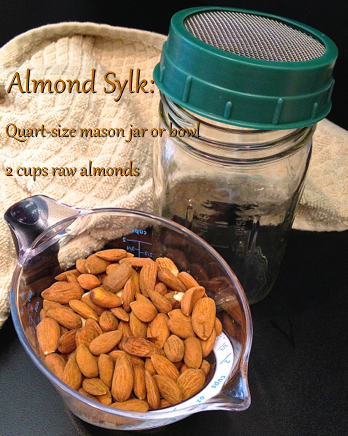 If using Almond Sylk in savory recipes you may want to avoid adding sweeteners or flavoring to the milk. If you soak the almonds longer than 8 hours, refrigerate to keep the water fresh. If you soak longer than 24 hours, you’ll need to rinse and change the water as it will get stale. 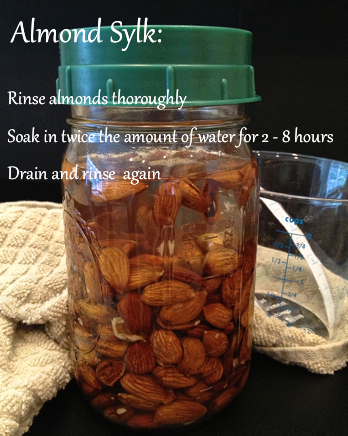 You can also sprout the almonds for 12 – 24 hours after soaking and rinsing for maximum nutrient release. Keep in mind toasted or ultra pasteurized almonds will not sprout. You can use either a nut bag or a very fine sieve for straining. I’ve tried both ways and you get similar results especially if you line your sieve with cheese cloth. For extra body try incorporating one Tablespoon of coconut oil. Makes the milk richer and creamier. Add almonds and water to a high-speed blender. Strain the milk using one of the methods listed below. Once the milk is strained, it’s ready to use. You can sweeten or flavor the milk. Yields about 5 cups milk and about 1 1/2 cups dry almond pulp. Can be stored refrigerated up to 3 days. a. Through a very fine sieve into a bowl. Place a very fine sieve over a large bowl. You can layer the strainer with cheese cloth for additional straining. Make sure the sieve is big enough to fit over the bowl and accommodate the amount of milk and pulp. I use a 1-quart sieve. 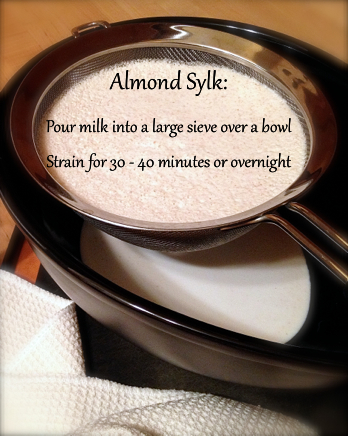 Pour the almond milk into the sieve and let it strain for 30-40 minutes or until the pulp is fairly dry. You can speed up the process a bit by gently moving the pulp around with a spatula, making sure not to press the pulp into the sieve. You can also let it drain overnight in the refrigerator. Most of the almond milk will be strained within the first 30 minutes. You can reserve some of the wetter pulp for topping by scooping it out before it’s completely dry. b. Into a nut milk bag over a bowl. 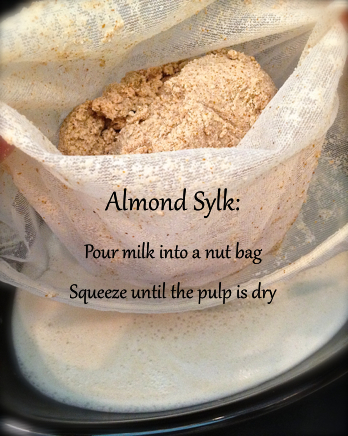 Place a nut milk bag over a large bowl and pour the almond milk into the bag. Squeeze the milk out until the pulp is dry. This will take a couple minutes. If you want to reserve some of the pulp for topping, scoop a tablespoon or two out while it’s still damp before you’ve removed all the moisture.